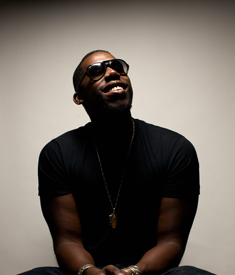 Flying Lotus’ albums are events. They’re not issued with a mechanic regularity and they don’t subscribe to recognized formulae. For those prone to astral traveling and metaphysical introspection they are another piece of the puzzle. For those, let’s say more ‘conventional’ listeners, the records are grand and ghostly sweeping movements – the sort of which are rarely undertaken at present. For being such a potent strain of future-thinking music, the scope of Flying Lotus’ full-lengths recall the ambition and vision of many older masters while at the same time look unflinchingly towards the beyond. As the psychic ripples caused by Flying Lotus’ Cosmogramma are still felt, the ground broken by its larger-than-life presence has proven to be very fertile soil indeed. That opus illustrated the universe that Flying Lotus inhabited, one in which Californian psychedelic gurus bumped elbows with Radiohead while the synthesizers were tuned to the strains of outré soul jams and the orchestra was conducted by the psilocybin-assisted movements of the deepest free-jazz nomads. From the neon afterglow of this ‘space-opera’ would come the vapor trails leading to FlyLo’s next revelation.